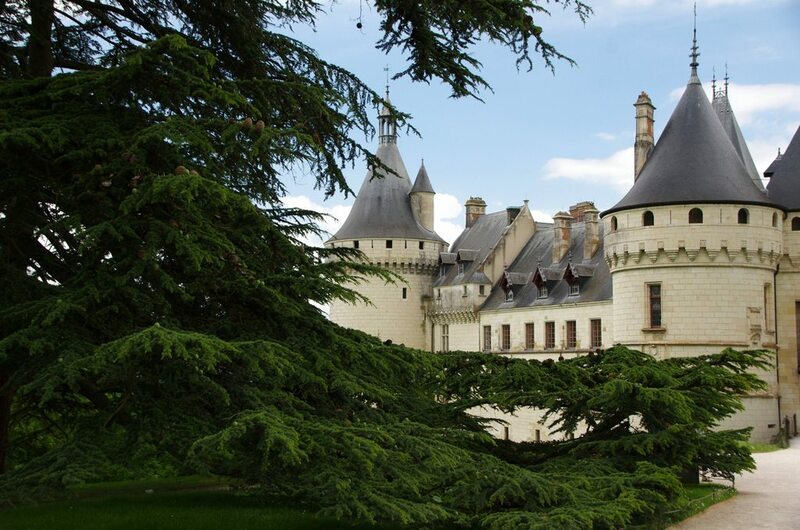 Many huge pine trees surrounded the chateau. 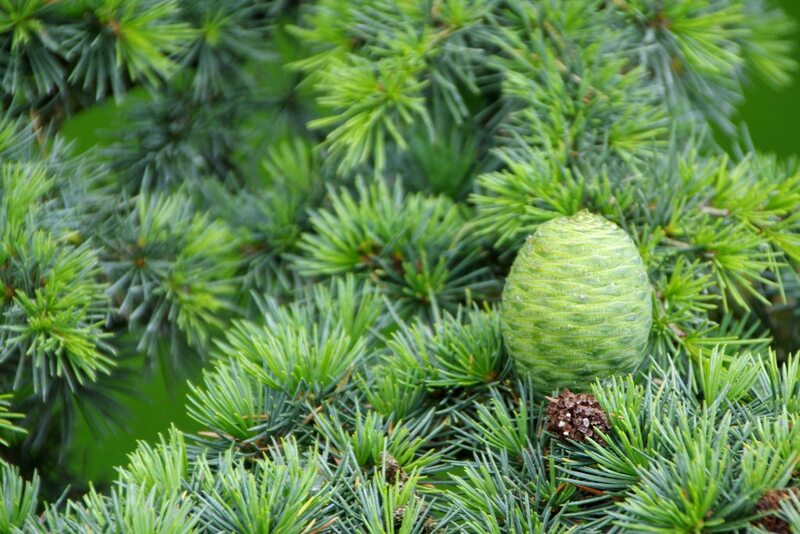 They were covered in the most interesting pinecones that I had ever seen. I was sad that none had fallen to the ground yet — I would have liked to have gotten to take one home to add to my collection of pinecones. The pine trees’ branches were low and sweeping — they would have made a great hiding place during a game of hide & go seek. 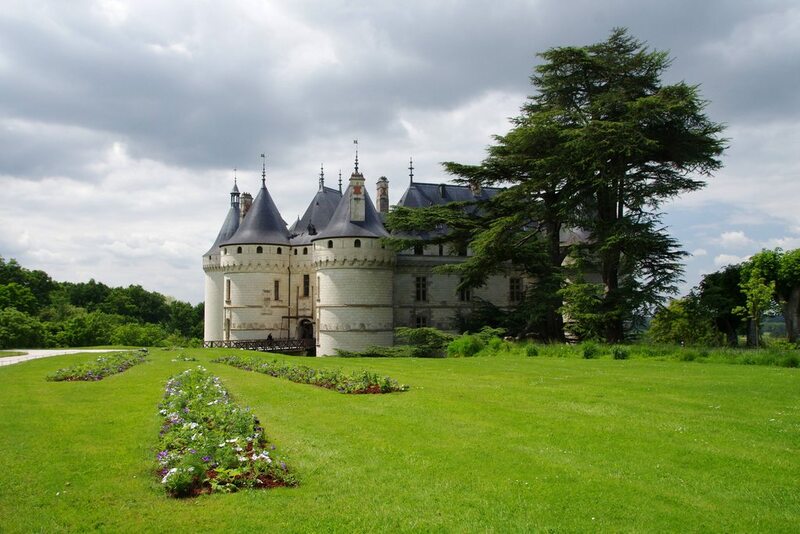 This is the view that we were met with when we got to the chateau — isn’t it lovely? It’s hard to tell from this photograph, but the entrance is a drawbridge style gate (it was lowered so that visitors could walk through the entrance). Porcupines were all over the chateau. I found this one, high up on the wall in the inner courtyard, to be particularly cute…with her necklace and crown. 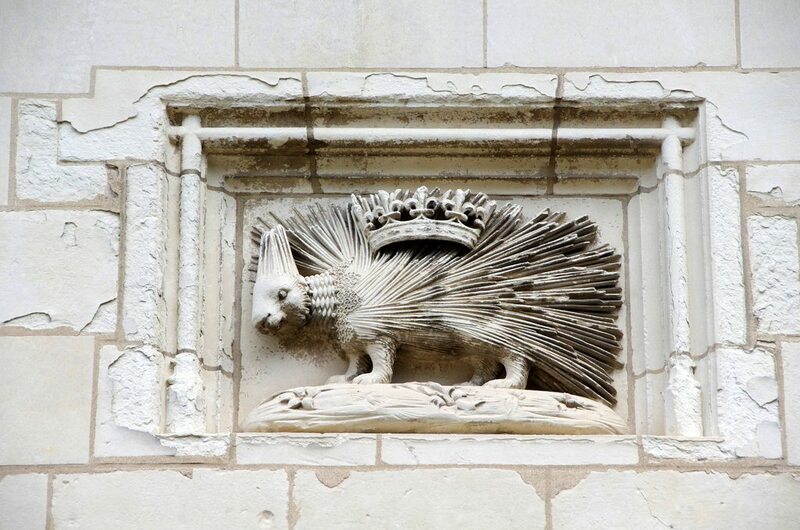 The porcupine is the emblem of King Louis XII. 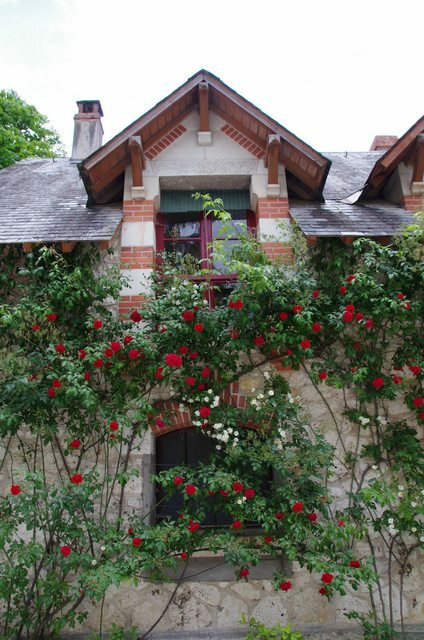 The photograph below was taken in the inner courtyard of the chateau. I liked the look of the mini-towers and thought it was interesting that they did not go all the way down to the bottom of the first floor, stopping, instead, at the bottom of the second floor. I also liked the water well. 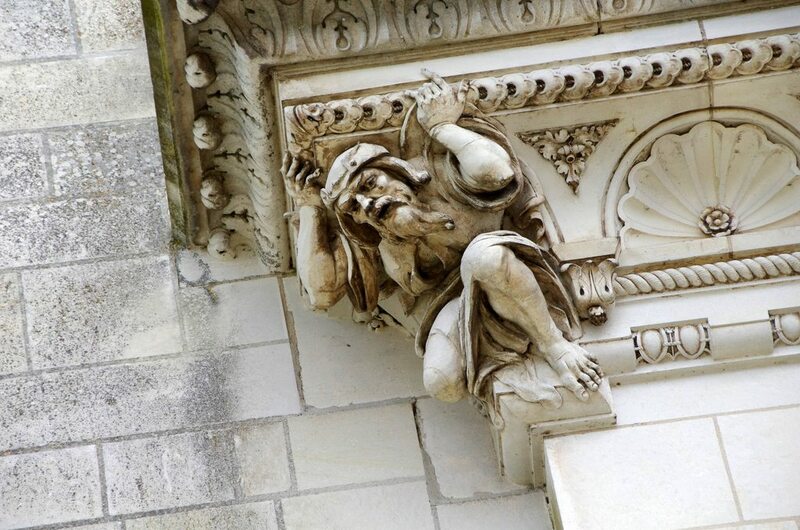 As with most of the buildings that we saw during our trip to France, Chateau de Chaumont was also equipped with gargoyles to direct the flower of water off of the building. 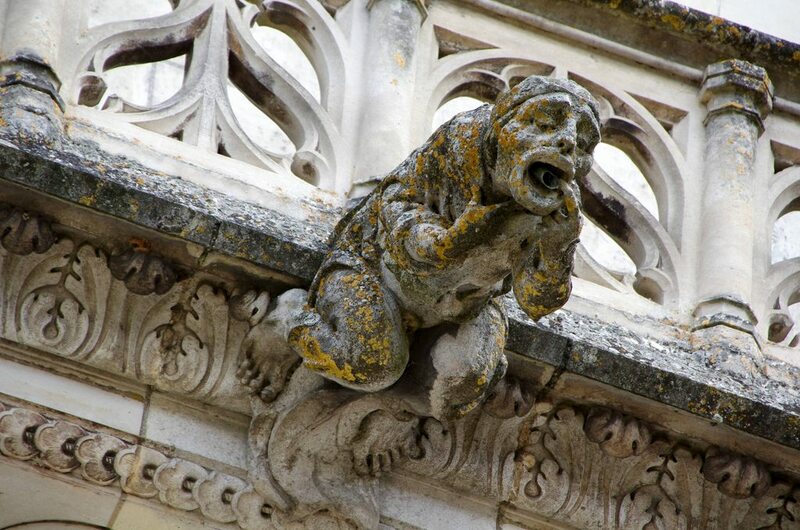 This is one of the less-creepy-looking grotesques that I spotted. He almost looks as if he was intended to be a god from Greek mythology. For some reason, seeing him holding up the building reminded me of Samson’s final, heroic act during which he stood between two pillars and pushed them apart, causing the house of Dagon (a philistine god) to come tumbling down. 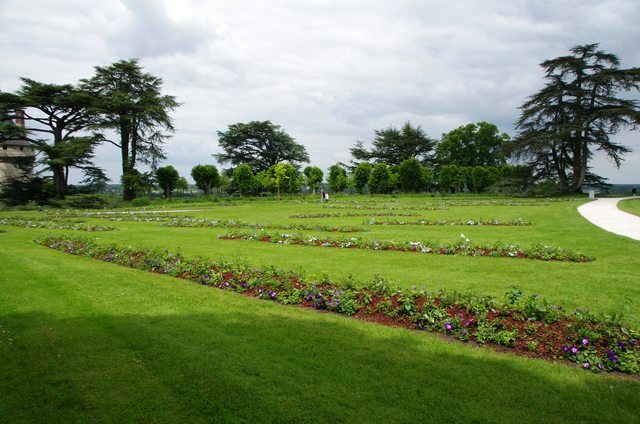 The next photograph has a little bit of everything in it — the chateau, lovely flowerbeds, and a HUGE pine tree. Seeing the chateau and all of the pine tree together in the same picture really helps put the size of the pine tree into perspective. On our way out, I was excited to see that there weren’t any people walking through the entrance or loitering around the front of the chateau. 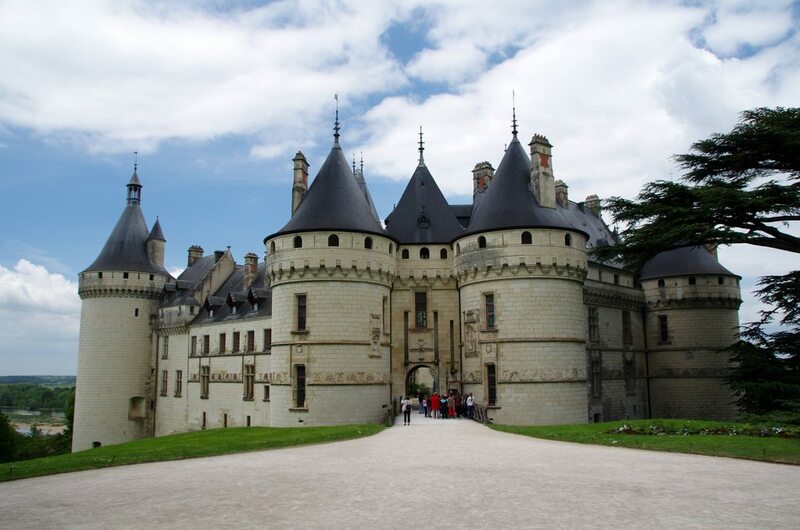 This enabled me to get a people-free photograph of the front of the chateau. 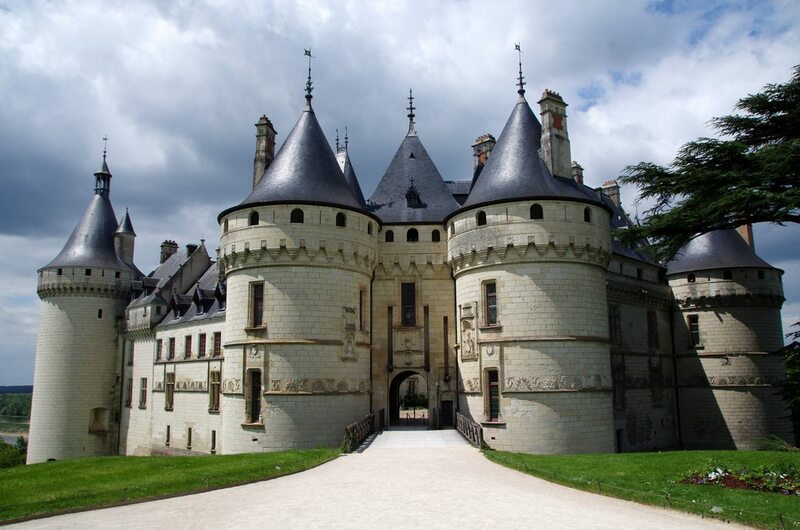 I absolutely love visiting chateaux. This summer I’ve lived in France (in the medoc) and can see five out my window every day!!! 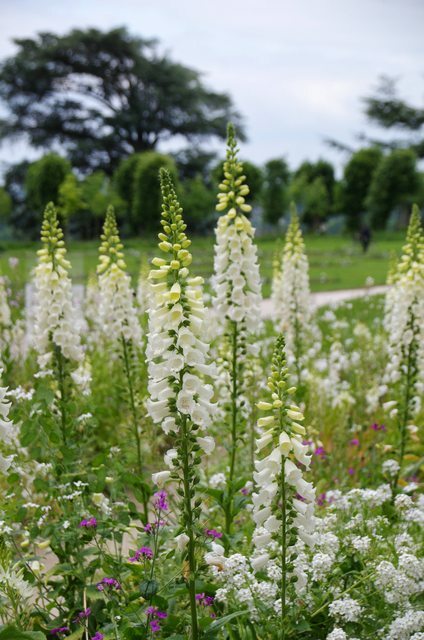 I love your blog and your photography! Thank you for sharing! 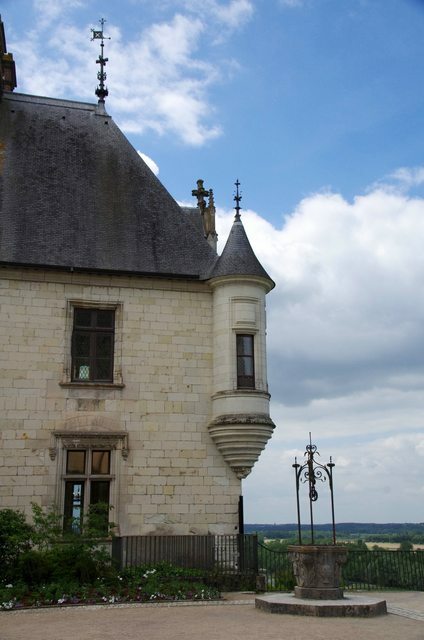 On my latest post I also have a section about visiting chateaux with a photo of my favorite, Pichon-Longville!! !